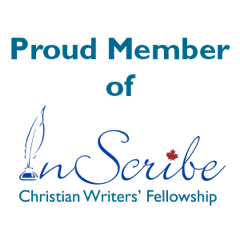 My blog plan is to interview an author the second Tuesday of each month, then review one of his or her books on the following Tuesday. 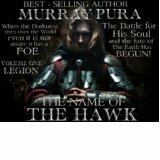 Last week I posted an interview with Murray Pura, and since he has quite a few publishing credits, I decided to post brief reviews on several instead of just one. To see Murray’s complete list of published works, visit http://www.murraypura.com/library.htm. The first book I read by Murray Pura was The White Birds of Morning (not to be confused with The Wings of Morning, which is another of his titles). White Birds is a fat novel of almost 600 pages with a most intriguing cover. I found this story, told by the lead character in first person, to be intense and haunting. It’s not an easy read to follow Andrew’s memories and the vast cast of characters involved in this riveting saga. The writing is stellar, the characters so real we mourn with/for them, the settings devastatingly authentic. In short, this epic work imprinted on my mind and left me wanting to read the sequel. I see by the book list that there is a previous book called Zo, which I must read. More to follow in future too. Murray’s writing covers many genres, one being Amish fiction. 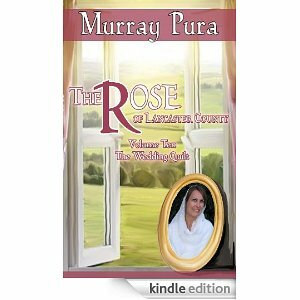 Today I’ll feature The Rose of Lancaster County series. This story was originally released in installments or “volumes,” of which there are ten. It is now available as a complete digital or print book. This series takes place in 1720s Pennsylvania with Rose Lantz, a quiet, dedicated young woman of the Amish community who is accused of witchcraft. Is her faith strong enough to carry her through this nightmare while her future hangs in the balance? 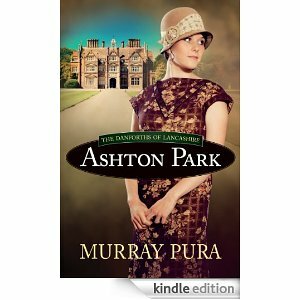 One of Murray’s most popular historical fiction series is the Danforths of Lancashire, the first of which is Ashton Park. Written in the style of Downton Abbey, these books offer a host of colorful characters, unique settings and a convincing plot line. So far there are two sequels to this series: Beneath the Dover Sky and London Dawn. Set in the momentous times from midway through the first world war (1916) to the late 1930s, these stories are as epic as the era they encompass. Let’s switch genres once again. One of my current favorites is The Night of the Hawk, which is also being released in installments. Three volumes are out at present. A young man of unknown origin and hidden giftings has been called to an adventure that takes him from Skyrl into a world of evil and supernatural conflict. With the disarmingly beautiful Skaytha at his side, Hawk ventures out to face his destiny, achieve his goal and turn darkness into light. Besides more series, Murray has penned some stand alones and is also “hosting” a series titled Blue Heaven Romance. This is a story scenario he came up with and then recruited other authors to each write a part of the whole. 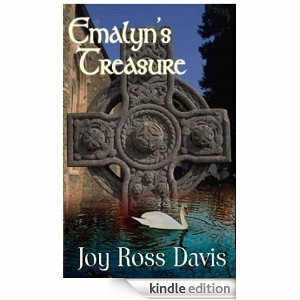 The first volume is pictured at left: Emalyn’s Treasure by Joy Ross Davis. 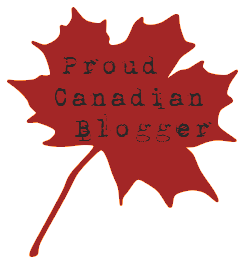 Thanks for stopping by my blog today. I hope you broaden your reading horizons by picking up a few of Murray Pura’s books. Whatever your favorite genre, it’s bound to be in his booklist. Great information, great post! Thanks!